What can I send to Gibraltar? What items are restricted? Shipments sent via the Standard service can result in customs inspecting the packages, and as such can endure a short delay whilst this process is carried out. Whether you have plans to enjoy the shops and restaurants on offer in Gibraltar and/or engage in a more active holiday, Send My Bag can help by sending your luggage to your hotel, so that it is ready and waiting for your arrival. You can also ship home your luggage and any purchases you have made. This will make your journey much more enjoyable, without you having to wait at baggage queues or luggage carousels. You can also avoid airline baggage fees, including those for excess or oversized luggage. 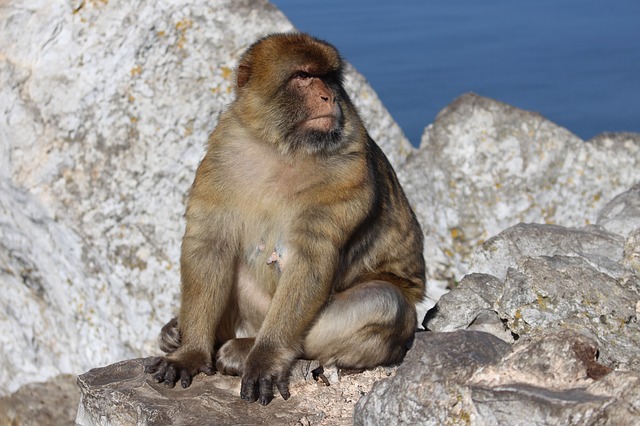 If you are relocating to Gibraltar to study, you can use Send My Bag to send everything you will need for your stay – books, clothes, writing materials, etc. By shipping your things instead of bringing them on the plane yourself, you won’t need to pay any excess baggage fees charged by your airline. Plus, you can bring so much more with you than you could check into the hold of your plane. With Send My Bag you can ship your luggage to Gibraltar, in suitcases and boxes, to help you relocate there, or to allow you to bring everything you need to see you through to the end of your holiday. Your luggage can be picked up from home and delivered to your accommodation or new home in Gibraltar. Without the considerable burden of numerous items of luggage, your journey to Gibraltar will be a breeze. To find out more about sending luggage to Gibraltar, visit our ‘How it works’ page, or our ‘FAQs’. Although Gibraltar itself has no golf courses, you can very easily nip over the border to Spain where you will find numerous golf courses, such as Alcaidesa, Almenara, and La Reserva. This means you can enjoy great golfing during your holiday to Gibraltar. Send My Bag can ship your golf clubs to where you are staying, allowing you to fully enjoy playing golf, using your own familiar equipment. It will also be a great benefit to not have to drag your clubs behind you onto public transport. See more information on how to send golf clubs with Send My Bag, including how to best package your golf clubs. Why not cycle around Gibraltar and/or take your bike further afield into Spain? You can do so from the comfort using your own bike if you send it to Gibraltar with Send My Bag. You could even have your bike delivered in Gibraltar, explore the area, and then cycle on into Spain and have your bike collected again from a Spanish hotel. This means your bike can become an integral part of your holiday, but not a burden. Your bike needs to be taken apart and safely packaged up before being sent to Gibraltar. Check out our information on bike shipping to learn more. You will have to think about international removals to Gibraltar if you are moving there permanently. Make sure you research removal companies thoroughly and choose a reputable company. Also make sure that you package up all your items carefully using suitable packaging so that they arrive in one piece. The University of Gibraltar is brand new, having just opened in 2015. It offers both undergraduate and postgraduate qualifications. If you have decided to study at this institution, you can ship your possessions to your student accommodation with Send My Bag, allowing you to start your student life with everything you need around you. Read more about student shipping on our student removals page and find out how to receive your student discount. Sending a parcel to Gibraltar is easy with Send My Bag and is a great idea if you don’t have too much to send. Friends and family members can use Send My Bag to send things to Gibraltar for you, such as items you have forgotten, or care packages. Make sure you pick a sturdy box for your parcel to Gibraltar and seal it up well so nothing gets damaged in transit. Find out what you can send with Send My Bag and how to package your items on our parcel shipping information page. If you need to send large items, like an armchair or footstool, to Gibraltar, one option to consider is air freight. This service normally takes around one to two days. This makes it quick, but potentially costly, depending on how large your shipment is. You will also likely have to hire a customs agent to sort customs clearance for you. Plus, you will have to arrange how to get your items to and from the airports, which could involve another considerable cost. If you send internationally by air freight to Gibraltar your items will likely arrive at Gibraltar International Airport. Bulky items can also be shipped using sea freight or container shipping. Sea freight shipping can take several weeks, but it’s usually a cheaper option and good for those who don’t need their items immediately. You should keep in mind that you will still need to hire the services of a customs agent and will need to sort out transport for your items to and from the ports. When using container shipping to Gibraltar, your items will most likely arrive by ship at the Port of Gibraltar or at a port in neighbouring Spain. I love how easy to use their service. Sending bags inside EU took me just two days and price is relatively cheaper than other tranporters.Working with the courier door to door, the service quality is perfect. However you may need to be available concerning the collection and delivery since you can't get in touch with the drivers beforehand. I give sendmybag.com 5-star for showing my satisfaction and encouragement as well. Will and have recommended to everyone I know. Great value, prompt, professional and will definitely us you again. Thank you for making hte process so easy from the Online staff to deliver . Fab, thank you! Since most countries allow a good amount of personal items to cross their borders duty free, sending personal effects only is usually straightforward. Send My Bag shipments are rarely stopped by customs. Personal effects are typically viewed as used items that have been owned by the sender for 6 months or more. You must demonstrate to customs officials that your shipment is made up of personal effects by creating a short non-generic packing list online, to be written as follows: "3 x Cotton T-Shirt, 2 x Woollen Jumper, 3 x Pairs of Socks, 2 x Pairs of Leather Boots", etc., rather than as "10 x Used Clothing". If local customs find brand new or commercial items in your shipment, it may be assessed for customs duties and taxes. You should bear this is mind if you are sending Christmas or birthday gifts to Gibraltar. Please check with local customs so you are aware of any duties that need to be paid, take note of any advice given and provide all documentation required of you. We advise travellers to take a few minutes to see how their own particular circumstances and what they are sending will be viewed by local customs at their destination, as customs rules vary according to country. Gibraltar covers an area of 6 km2 and has a population of just under 30,000 people. Gibraltar can be reached by plane from a number of airports in the UK, including three London airports, Manchester, Birmingham and Bristol. In August Gibraltar enjoys an average temperature of 24.3°C and in January the average temperature is 13.5°C. Gibraltar attracts many tourists due to the fascination of the Rock and its tunnels, caves and nature reserve. Tours can be taken around the many sights that the Rock has to offer. The town centre of Gibraltar also offers tourists fine cuisine and numerous shops, from high street stores to independents and an indoor market. As Gibraltar is a VAT free area, shoppers can get great value for money. The currency is the Gibraltar pound, which is equivalent to Sterling. Visitors can also engage in outdoor pursuits, such as diving, fishing, walking and excursions to view the dolphins in Gibraltar Bay.